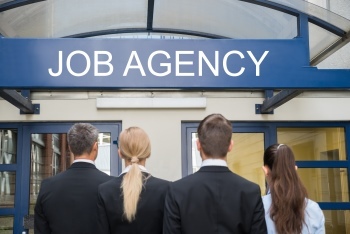 Why Hire A Recruiting Agency? My Company Has An HR Department; Why Would We Want To Hire A Recruiting Agency? The field of Human Resources has changed a great deal over the years, and its focus has grown well beyond finding employees and taking care of their paperwork. Though employee self-service programs like online payroll and benefit management have helped to streamline the workload for many HR departments, they’re still typically running at full speed to keep things moving efficiently and economically for your company. These days, HR professionals spend a great deal of their time on retention-focused programs like onboarding and integration of new hires and measuring and monitoring engagement and satisfaction of employees. Turnover is a costly drain for companies. One study by the Center for American Progress estimates that it costs companies about 20% of the annual salary to replace a professional who earns up to $75,000 a year, while it costs in excess of 200% to replace a senior professional or an executive earning more than $100,000 annually. Investing in employee retention is a smart move, and even more so as the job market begins to grow again after the years-long recession; employees have choices today that they didn’t have in the past few years. You need your HR team focused on keeping your current employees engaged and invested in remaining a part of your company. Multiple Hires – As the economy improves, many businesses are beginning to look at filling positions that had been left vacant in leaner times, and others are staffing up to take on new projects. Searching for a bunch of new employees at once – especially if you are hiring to meet a project launch date – taxes the entire system and can sometimes lead to less-than-ideal hires. Let your recruiting firm sort the wheat from the chaff for you, so you can spend your time making bread. Specialized Employees – If you’ve ever tried to work through an online job search engine to hire any employee above entry level, you’ve probably already discovered that, regardless of the search capabilities they boast, the results are little better than placing a “Help Wanted” ad in a newspaper used to be. The more specialized the skill set you’re looking for, the worse the results tend to be. Our recruiting specialists streamline the process by ensuring that your HR team and managers only spend their time talking to qualified candidates who are also a good fit for your company environment: People you’d actually want to hire. Executive Search – As we mentioned above, the cost of replacing an executive is quite high, and it’s not a process you want to short cut or make a mistake in. The Lawler Group is part of a network of more than 800 professional recruiting offices worldwide, so we’ve got all the resources needed to find exactly the person your company needs, without tying up your critical resources. 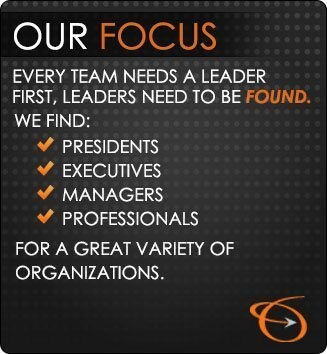 Our executive recruiters will meet with you to learn not only what skills you require, but what will make the difference between a person who just has the skills and the right person for your company. We understand the critical nature of this decision for your business, and our recruiters have the experience and resources to bring you a short-list of excellent candidates to choose from. Getting your company involved with a recruiting agency can significantly improve your hiring strategy and ultimately cut down on the costs and time required to build your staff. Recruiting agencies are an effective source to finding more qualified individuals for your open positions in a short amount of time and at a minimal cost. Big or small, every company can benefit from working with a recruitment agency. If you are interested in learning more about how partnering with a recruitment agency can help your hiring process, contact The Lawler Group, a reputable recruiting agency in Milwaukee to speak with a member of our team.